George L. Pellegrini, 88, of Linesville, passed away peacefully at Rolling Fields Senior Community on November 12, 2018. Mr. Pellegrini was born on July 17, 1930, in Pittsburgh, Pennsylvania the son of George Sr. and Marie Beaumont Pellegrini. In 1948, he graduated from Scott Township High School in Bridgeville. 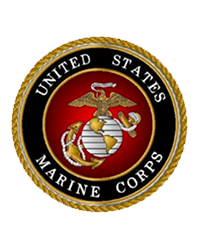 He began his 40 year construction career with the U.S. Marine Corps Engineer School Battalion in 1952. He retired from the PA Department of Transportation as construction manager in 1991. Mr. Pellegrini was dedicated and highly respected in his field. He was an avid hunter and motorcycle enthusiast. Survivors include his loving wife, of 67 years, Florrie (Brug) Pellegrini, who he married on July 22, 1951; a son, Dan Pellegrini of Meadville; his granddaughters, Stephanie Knight and Jessica Borland; and several great-grandchildren. He was preceded in death by his parents; a daughter, Susan Marie Bullis and her husband, Ronald; and a son, Larry Pellegrini and his wife, Maxine. Calling hours will be Thursday from 2 to 4 and 6 to 8 p.m. at Royal-Coleman Funeral Home, 6028 U.S. Highway 6, Linesville. The funeral will be 11 a.m. Friday at the funeral home with Rev. Rachel Johns of the Linesville Presbyterian Church officiating. Memorials contributions may be made to the Linesville Presbyterian Church, P. O. Box 235, Linesville, Pa 16424. Please share a condolence or memory of George for the family at royalcolemanfuneralhome.com.